This review will focus on findings from the few studies performed to date in humans to examine changes in muscle protein turnover, lean or muscle mass, and physical function following fish oil-derived omega-3 fatty acid treatment. Although considerable gaps in our current knowledge exist, hypertrophic responses (e.g., improvements in the rate of muscle protein synthesis and mTOR signaling during increased amino acid availability and an increase in muscle volume) have been reported in older adults following prolonged (8 to 24 weeks) of omega-3 fatty acid supplementation. There is also accumulating evidence that increased omega-3 fatty acid levels in red blood cells are positively related to strength and measures of physical function. 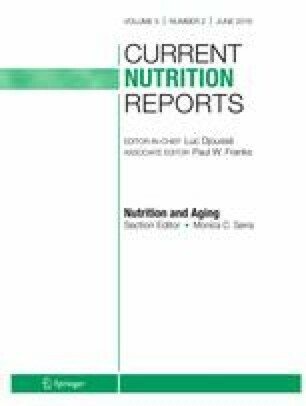 As a result, increased omega-3 fatty acid consumption may prove to be a promising low-cost dietary approach to attenuate or prevent aging-associated declines in muscle mass and function. Gordon Smith is supported by the Washington University Institute of Clinical and Translational Sciences grant UL1TR000448, sub-award KL2TR000450, from the National Center for Advancing Translational Sciences (NCATS) of the National Institutes of Health (NIH). The content is solely the responsibility of the authors and does not necessarily represent the official view of the NIH. Gordon I. Smith declares that he has no conflict of interest.